While researching this blog post, I found another cool post detailing the process of building a NodeBot Jr. If you don’t have access to a laser cutter, check out your local makerspace or check out https://www.ponoko.com/. Ponoko.com enables you to upload your laser cutting design and having your designs delivered to your door for a small fee. 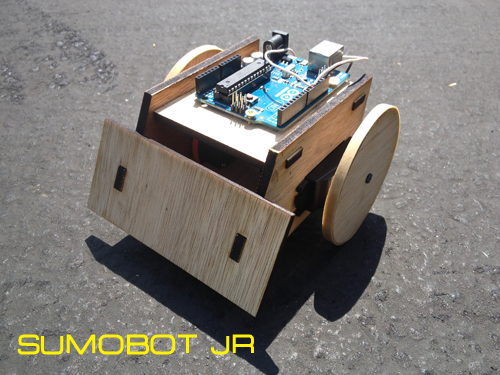 You can find the build plans and code here: https://github.com/makenai/sumobot-jr .